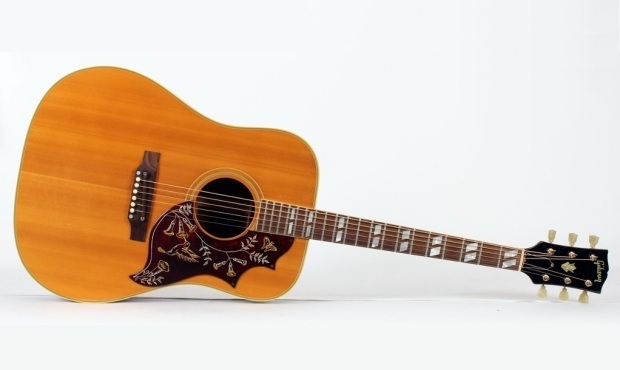 This is an Original 1968 Gibson Hummingbird Acoustic which has been shipped over from Andy’s friend and vintage guitar contact Crawford in Nashville, Tennessee USA. 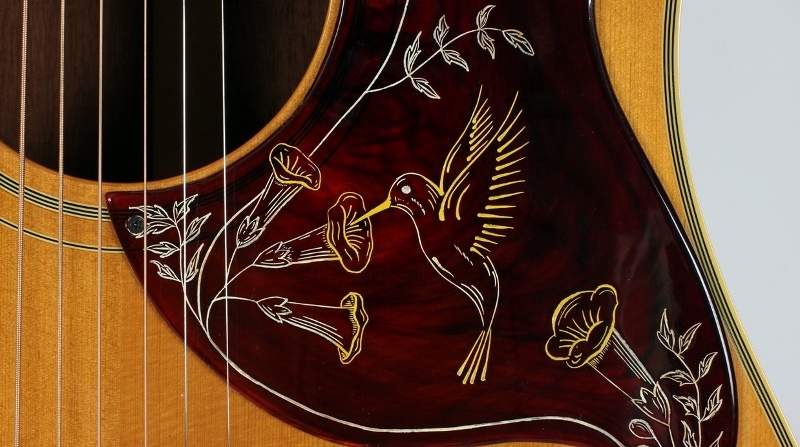 This beautiful Gibson Hummingbird is in 100% original condition from the golden years of Gibson production. 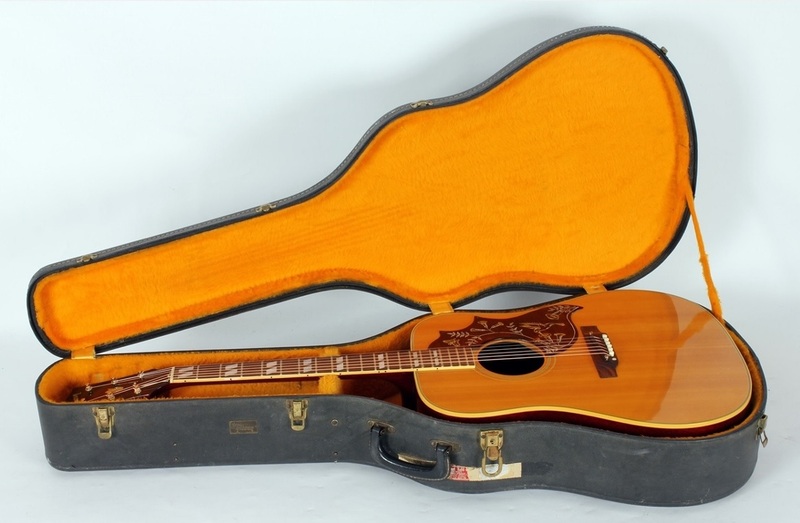 These guitars were produced from 1960 onwards and this one is a 1968 in lovely condition. 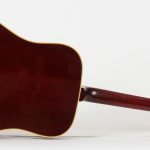 It is extremely light-weight and has that sweet, lush tone these guitars are famous for. 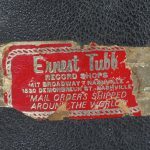 It is definitely a collector’s piece as well as a wonderful playing guitar. 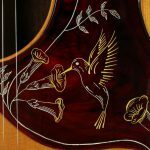 A Solid Spruce Top with Mahogany Back & Sides with rare Natural finish, Gold double line Kluson-Deluxe tuners, Parallelogram pearl inlays and Original rosewood adjustable bridge. It would be difficult to find a better example of this fabulous, much-sought after Gibson Acoustic. 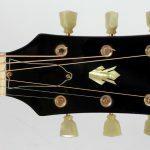 This Original 1968 Gibson Hummingbird Acoustic is in lovely condition with no breaks, repairs or major damage anywhere. 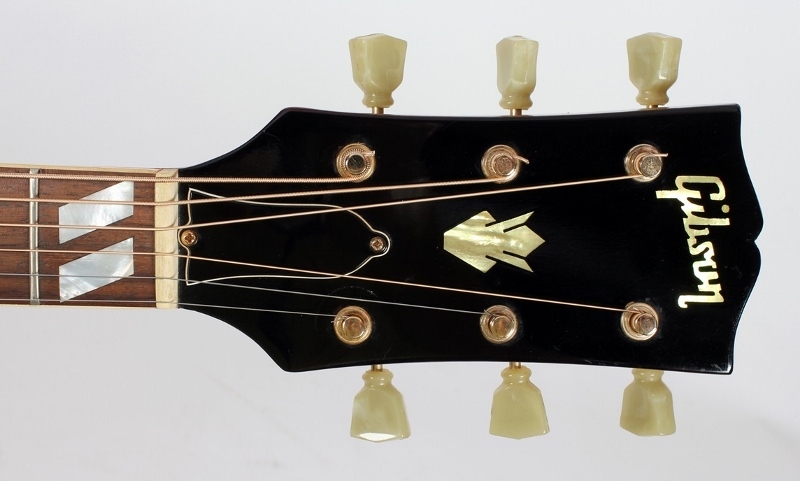 It has a “2” under the serial number (Factory second due to a finish flaw) but, except for a couple of tiny dings on the side and one small top ding, it would be considered Near Mint. It’s SUPER clean with no issues and we cannot see any flaws in the finish to warrant it being a factory second. 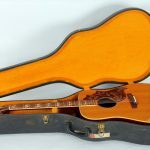 It also includes its original period correct late 1960’s Gibson hardshell case in very clean condition. 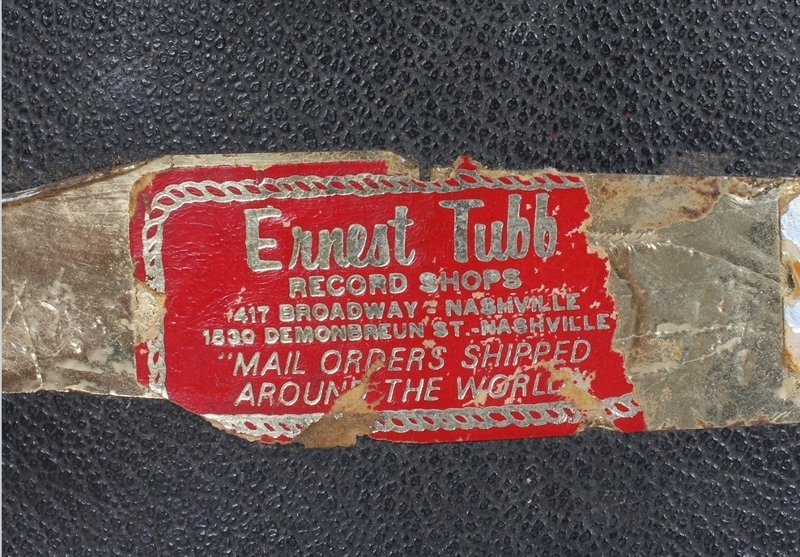 The case also has a sticker from the Ernest Tubb Record Store – a little bit of Nashville history. A Great Investment!